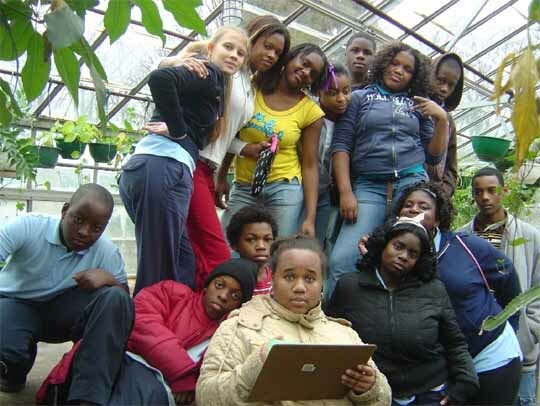 Fresh Start Farm at The Bragg Nature Center is an initiative of the Baltimore City Public School System to engage students in healthy school menu planning through food and health education, hands-on seed-to-table food experiences and vocational training. This is part of a larger mission to relocate Baltimore’s central kitchen from Brooklyn to Baltimore, source school lunch ingredients from Maryland farms, reopen school kitchens and reinforce that student health is critical to student education. Fresh Start Farms is planned to be part of a national model for farm to school programs as well as a sustainable, organic, teaching farm for Baltimore school children. This year we are working with students on field trips, student apprentices and student employees to grow two acres of vegetables, establish a one acre orchard, raise pigs, laying hens, honeybees, composting worms, mushrooms and several other symbiotic living systems. We will be building an outdoor oven, tent platforms, beehives, portable chicken shelters, rainwater collection infrastructure, vermicomposting infrastructure, demonstration raised-bed gardens, and planning green renovations for the entire thirty-three acre farm and its seven historic stone buildings. The Bragg Nature Center has a rich history of agriculture, nature study, education, vocational training, and community dating back to the early 20th century. It is named in honor of the Reverend George Bragg – the statesman, writer, and founder of the Maryland Home for Friendless Colored Orphans – who transferred the property to Baltimore City Public Schools in the 1950’s. Fresh Start Farm is the most recent chapter in the storied history of this land.